The Internet provides plenty of opportunities for consumers to rate the quality of professional services they receive. A quick search can help you find recommended plumbers in your area, or suggest that you steer away from a certain roofing contractor. Similarly, there are lots of online physician rating websites that offer the same service to consumers: check and see which doctors in your area are recommended by other patients. 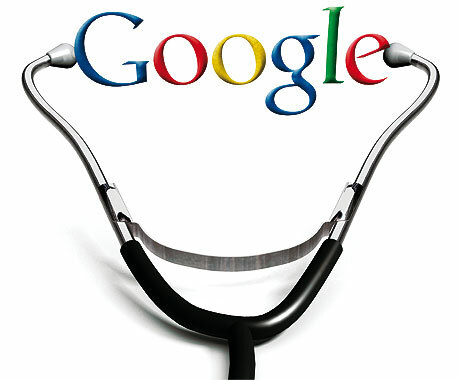 I’ve watched the mushrooming of these “rate-the-doctor” websites with interest. While they provide an opportunity for patients to provide feedback to doctors and other patients, some elements could use improvement. Who is writing the reviews? While most come from true patients, there’s nothing to limit one single patient from sending 8 reviews about the same experience. For that matter, who’s to say good reviews aren’t from the doctor, trying to boost her image? Physicians who are also small business owners (like me) from time to time terminate poor-performing employees. After a firing, does a spike in negative reviews of our practice reflect coincidence, or an ex-employee trying to retaliate anonymously– especially if the review contains “insider information” that our average patient wouldn’t be aware of? When I read travel reviews online, I’m struck by how many reviews come from people who admit in their review that they didn’t actually stay at the hotel or eat at the restaurant. The review will read something like “I wanted to stay at this hotel because I’ve read so much about it, but when I clicked on the Reservations tab, I was shocked at the room rates. I couldn’t believe this hotel would charge so much for so little. While the consumer is giving feedback to the hotel (“I think the market won’t sustain your prices”), this one-star comment hardly addresses what most travelers want feedback on (cleanliness of the rooms, friendliness of the staff, quality of the restaurant), since anyone can look up the prices for rooms. Similarly, anonymous patient reviews don’t distinguish between a patient who came once, a long-term patient, and a prospective patient who has never been seen. Since I never had an opportunity to meet the family myself, never established a physician/patient relationship, and certainly never had an opportunity to explain, I don’t really consider this a review from a patient – but it’s in there with the rest of them. 3 – There’s no way to respond. Some consumer rating websites, like Trip Advisor, allow the hotel or restaurant to respond or comment to a particular review. Many doctor rating websites don’t have a similar feature. I don’t have an opportunity to apologize, or set the record straight, or offer to make my patient’s bad experience right. The patient can vent, surely, but I’d rather to try to reconcile the relationship. 4 – Patient privacy is protected. I review the child’s record: indeed, I examined the child in my office, who had clear ears. The child indeed went to the ER for worsening ear pain — five days later. To me, this doesn’t speak to misdiagnosis as much as it does a common medical problem of kids: good ears sometimes go bad. I’d like to post something to clarify this online – to take the opportunity to educate families that ear exams can change over a period of days – but I can’t. Simply, if I post any public health information about Caleb on the Internet, I’ve violated patient privacy laws (HIPAA). I can try to contact Caleb’s mother privately to make this same point, but she may or may not see fit to alter her online statement. 5 – Even the “neutral” information can be wrong. “Rate-the-doctor” websites usually contain some basic demographic information, like the physician’s address, board certification status, age, gender, and so on. This information is often out-of-date, if not completely erroneous. I’m amused to sometimes find that, according to some websites, I’m not board certified or that I practice at an address I haven’t worked at in seven years. Again, there’s often no mechanism for me, as the actual physician, to contact the site administrator to ask that my information be corrected. 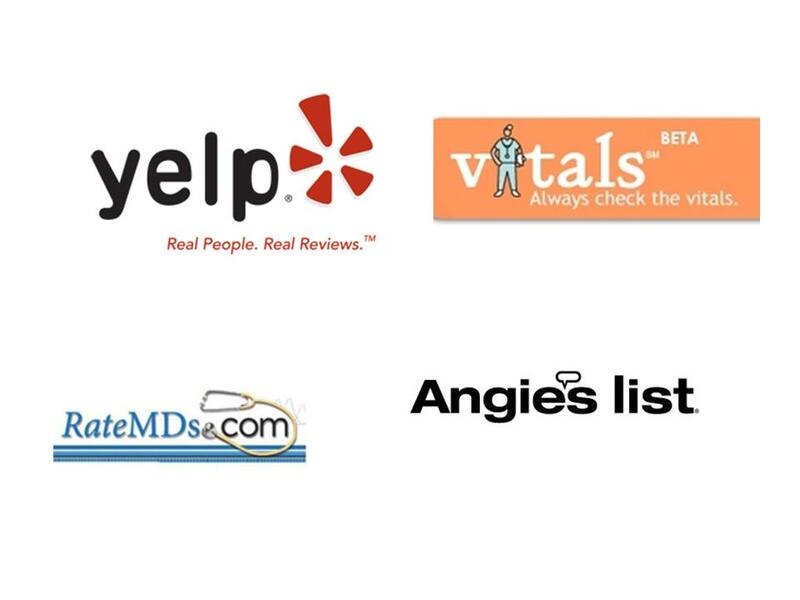 So patients who come to these websites to get information about physicians may read bad information even before they look at the reviews. Once it’s on the Internet, it’s there forever. Our office periodically reviews our online reviews. A while ago we found one from a dissatisfied patient, rating us 2 stars out of 5, and concluding, “If there’s another place to take your kids, you should probably take them there, and not to this office.” The review was dated about 9 months prior to our discovering it. The mother had left enough personally-identifiable information in the review for us to figure out who had posted it. Interestingly, in the 9 months since she felt dissatisfied with us, she was continuing to bring her son to us, and in fact had had a newborn daughter, whom she was bringing to our office for care. We were puzzled that, if she were that displeased with our office, she hadn’t followed her own advice and transferred care to another practice. The next time she was in the office, we gently asked her about her review. We’re happy that she’s now more comfortable with us. Unfortunately, her review is still on the Internet, forever, and possibly no longer able to be amended. Doctors are starting to fight back, and it’s not pretty. While patients have the right to post opinions on the Internet, doctors who feel an opinion crosses the line have sued for defamation, slander and lost income. Doctors who respond in this way have drawn a lot of media attention – and many of them have a sudden increase in negative reviews posted. This suggests that many of the newer respondents perhaps aren’t patients at all, but rather many readers are angry that a doctor would try to sue a patient for expressing her opinion. As far as a doctor trying to enhance her online reputation, it doesn’t seem to be a very effective method. Our office collects anonymous periodic surveys of our patients to learn how we’re doing and how we can improve. We ask patients to rate us on timeliness, friendliness, professionalism, and so on while they’re in the office as part of a visit. This assures us that the reviews are being completed by actual patients, and that they’re being completed at the time of the visit, while impressions are still fresh. Because we design the survey, we can make it specific as needed to help us identify problem areas: for example, rather than asking if “staff” are rude or friendly, we can ask for separate feedback on receptionists, nurses, doctors, billing staff, etc. We’ve started sharing the results of our surveys with our patients, and we’re going to post future results on our practice website as well. While our patients are free to comment about their experiences on rate-the-doctor websites, we believe posting results of our surveys will provide an equivalent service, and will be a more complete representation of our patients’ impressions of our practice. 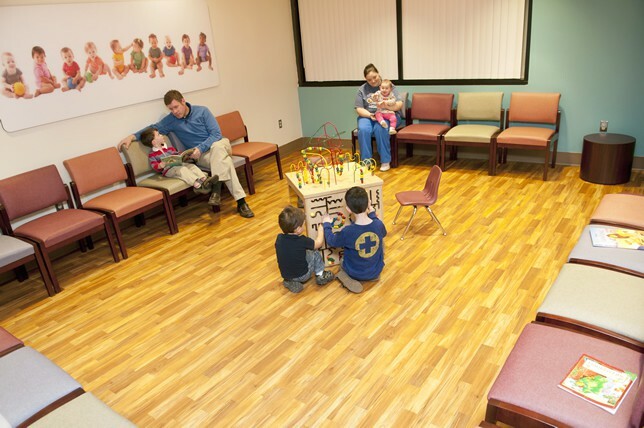 Ever wonder what your pediatrician does all day? Ever wonder why you sometimes have to wait to be seen (or, in my case, many times)? Doesn’t he or she just spend 8 hours a day at the office and then go home? Why does he sometimes seem a little tired? How can she be tired if she only works 4 days a week in the office? If you have ever wondered about those things, I am going to give you a peek into what my typical work day looks like. 7:05 – Arrive at first hospital, make rounds in newborn nursery, then move on to the pediatric ward to round on inpatients. 8:00 – Leave first hospital and go to second hospital. Repeat the above. 8:45 – Leave second hospital and drive to office. Note: I do not always have patients at both nurseries and both pediatric wards. I do often have to go to both hospitals, though. If I don’t have patients at both hospitals, I go get some coffee and spend some quiet time before the office. 9:00 – Arrive at the office to start the office day. I am usually met with multiple questions that relate to patients who might need to come in immediately but don’t want to, or who must have this form now or they won’t be able to go to football practice (but they didn’t bring it in until this morning), or I find out that a staff member won’t be at work today because they are sick or something urgent happened. Or, if it is winter, “The schedule is full already, where do you want to add sick patients?”. 9:05 – Start seeing morning patients. I will generally see an average of 4 patients per hour. In winter I may see 6 per hour. In summer, I may see 3 per hour, depending on the type of visits. Between patients, I am usually greeted with more questions about where to fit someone in, presented with more forms to sign, forced to be cordial to the drug rep who is bringing in the samples that we need and has her boss with her, have to call back to the hospital about a patient, or have to argue with an insurance company about approving the MRI that our patient desperately needs to prove she does not have a brain tumor or spinal injury. Along the way, I do have the great privilege of conversing and playing with lots of fun little kids while making the best medical decisions for them that I am able. The relationship with the kids and their parents is what makes all the other hassles worthwhile. 1:30 – I finish my “morning” after 6 1/2 hours of work. I then move on to my lunch “hour”, which is usually less than 30 minutes and is spent reviewing labs, returning phone calls, and signing forms while shoveling in whatever I happen to have available for lunch that day. 2:00 – I start the afternoon and do more of what I did from 9:00-1:30. The after school phone calls begin and we work to try to fit in those kids who got picked up from school sick. If our schedule for the afternoon is already full, we usually add those kids on anyway and stay late to see them, unless I have a firm evening commitment that requires me to leave by a certain time. Right before closing is when the asthmatic in severe respiratory distress walks in and must be urgently treated in the office while arranging for admission to the pediatric ward. 5:00-7:00 – I will finish seeing patients somewhere between 5:00 and 7:00, depending on the time of year and day of the week. Once all patients have left the office, I will usually still be at the office for another hour or two finishing documentation and making phone calls. If I admitted someone, I will also dictate the admission note and follow up on any admission orders that I have done. 6:00-8:30 – I finally make it home somewhere between these hours, depending on time of year. My family has usually eaten dinner already, so I will either eat quickly and start hanging out with the kids, or I will hang out with the kids and then eat dinner once they have gone to bed. 9:00-11:00 or 12:00 – The kids have made it to bed and I can then start handling the personal responsibilities that I have that are not directly related to seeing patients, like paying bills, catching up on medical reading, working on “maintenance” of my board certification, and, oh yeah, actually having a conversation with my wife. 11:00 or 12:00 – Finally I go to bed so I can repeat the above tomorrow. I will probably get about 6 hours of sleep, though I need about 8. Not every day is this way, but many are. Once the kids are in bed, I may do some kind of leisure activity instead of the work-related things mentioned above, but this is a fairly decent representation of my average day. Since my partner joined the practice last year, I do have more time for leisure activities since she splits the hospital duties and phone calls with me. My days and weekends off are usually spent hanging out with the kids and taking care of office planning activities that I can usually not accomplish if I am scheduled to see patients. So there you have it. A typical pediatric work day for me. Some pediatricians will work longer hours than I work. Some will work fewer days and fewer hours than I do. Most will have a similar set of responsibilities that they must somehow manage while seeing patients in the office, making the right medical decisions, and not getting too far behind schedule. Written by Jesse Hackell MD. In pediatrics, perhaps uniquely among the fields of medicine, change is more than something which just happens. It is at the very core of growth and development. There is no stage of life which manifests growth and development more than childhood. For pediatricians, change is a part of every visit (“her development and growth have been right on track since your last visit”) and part of every piece of guidance and advice that is given to parents. 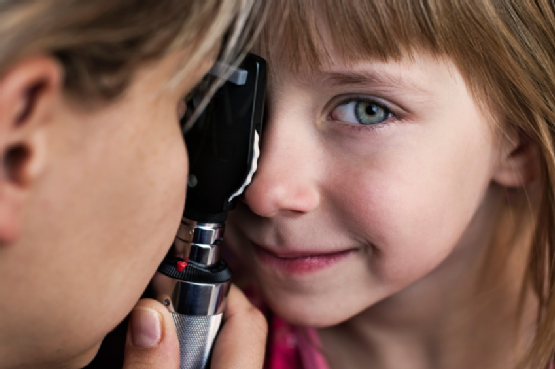 In fact, “anticipatory guidance” is specified as a standard element of preventive care visits, at every age through the pediatric and adolescent years. We comment on how a child has changed since the last visit, and suggest the changes to be anticipated during the months before the next one. A child who does not change from day to day, month to month, is so unusual as to be cause for concern. I have watched the transitions of my now-adult son and daughter, living through every stage of their growth and development, from infancy and toddlerhood, through the early years of school, sports, friendships, puberty, right on through college and graduate school, into adulthood, marriage and, soon, parenthood. Living with this change on a daily basis, one can almost forget the magnitude of the changes they go through, as they seem mostly the same day to day, until, suddenly, they have woken up one morning as a totally new person. But in practice, we see children episodically—frequently in the early years, but less so as they grow, so from one visit to the next, the changes are notable and dramatic. I was particularly struck by this recently, when on one busy Monday, of the 12 well visits I had that day, nine were for long-time patients getting ready to start their freshman year of college. Many of these young people had been my patients since birth—one mother reminded me that I had attended the delivery of the young woman I was about to examine, and thus had really been the “very first person to see her.” While others had become patients at somewhat later ages, none were strangers—all had been coming to our practice at least since before they entered the teen years. I had seen them over the years for visits both well and sick; had treated their acute illnesses; had counseled them on exercise and health, safety and risk behavior; and had gotten to know them and their families, and watched the changes that are common to us all as they occurred in each of them. The pre-college physical is a different sort of visit. Many of the kids, as I still call them, come on their own, without a parent. But it is most different in my view for what it represents in terms of the adolescent’s burgeoning independence. While they may have varying degrees of independence while in high school, and living at home, for those who choose to live away at college, this is often the first prolonged period of time living away from their parents, as well as the first episode of living in a peer group, and having to learn the new social skills necessary to get along, fit in and succeed in that new environment. While most of these 18 year olds are excited about the prospects of college, it is fair to say that most are also having some trepidation about it as well. It is always a part of the visit for me to mention this ambivalence that many fear, and to let them know that it is normal and expected, as well as that it usually eases quickly upon meeting new people who are also going through the same experience. It is also important to acknowledge the transition that occurs when young people start living independently in terms of needing to develop the skills of self-monitoring and self-control, in the absence of supervising parents. Many will need to assume primary responsibility for managing chronic health conditions, from diabetes to asthma to ADHD, and part of this pre-college visit is concerned with making sure that they are current with their management, as well as knowing how to get help if things do not remain stable once they are away from home. Alcohol, drugs and other risky behaviors are an inescapable part of college age, and it never hurts to remind the newly independent that they, alone, will be responsible for the choices that they make, in terms of both health-related behaviors as well as academic behaviors such as classwork and studying. One aspect I emphasize is the benefits of having a medical home. For practical reasons, since many are only at home sporadically over the course of a year, it makes little sense to try to establish a relationship with a new physician in bits and pieces. Additionally, we know their medical history, and we make it a point to see them (as we do for any of our patients) on an immediate or same-day basis for their acute problems, which is important when they may only be in town for a long weekend and cannot wait three days for the next available appointment. It always amazes, and gratifies, me how many respond to my offer to continue to be their physician with a comment such as “I don’t ever want to go to another doctor, even after I graduate.” It just demonstrates, once again, that transitions, although ongoing and inevitable, are fluid and variable in their nature. That is part of the beauty of change—it is going to occur, but we can all do things to help make it smoother and easier. It is what you make of it.